ADRI will be holding Part 2 of the Q&A on 6th May 2019 10:00 am – 11:00 am on how to minimize symptoms, maximise support, increase care needs and tackle difficult conversations. The session will be live-streamed on www.adri.org.au. 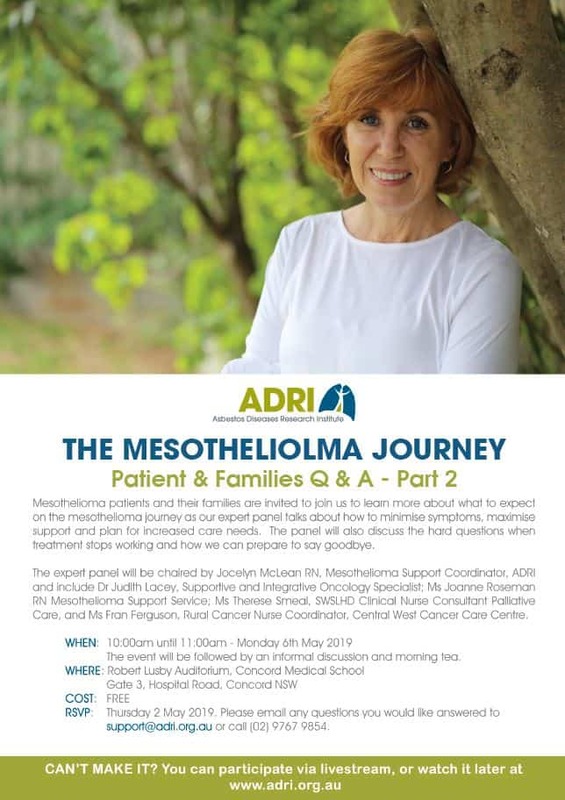 To register for the Q&A Part 2 please rsvp to: Jocelyn or Joanne – email support@adri.org.au or telephone 02 97679854 by Thursday 2nd May 2019.